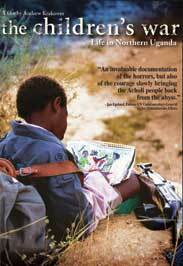 The stories of the displaced children who live in fear of being kidnapped and forced into the Lord’s Resistance Army. Filmmaker, Andrew Krakower, was set to do a film about the successful reversal of AIDS infection rates in Uganda when locals began to tell him of a hidden battle raging in the North. Stories of unspeakable atrocities compelled Krakower to journey north despite warnings by the locals that it was far too dangerous. Along the way, he became aware of the Lord's Resistance Army and the 22-year long rebellion led by cult rebel leader, Joseph Kony. As he learned more about the war, Krakower and his crew changed their focus and this film. Hear the stories of the children who live in constant fear of kidnap, forced slavery and decimation of family. Listen to the children who escaped and survived in spite of their capture. Witness the only existing interview of Kony, who claims spirits have aided him throughout this fight. Discover how the Acholi people find a way of life among corrupt government soldiers whose protection from the rebels are accompanied by their own heinous abuses of power. "An invaluable documentation of the horrors, but also of the courage slowly bringing the Acholi people back from the abyss."